Enlarge / Scott Pruitt during his confirmation hearings. The Environmental Protection Agency (EPA) has not been able to offer any scientific evidence for statements made by the agency’s former Administrator Scott Pruitt when he went on CNBC in March 2017 and said that carbon dioxide was not known to be a major contributor to climate change. Pruitt’s statements contradicted overwhelming scientific evidence as well as everything the EPA had published before he took office. In response, a group called Public Employees for Environmental Responsibility (PEER) formally requested any scientific documentation that might have informed Pruitt’s opinion, given the gravity of the about-face. The EPA stalled and refused to turn over any documents. PEER responded by suing the agency for dereliction of its duty to supply public documents under the Freedom of Information Act. 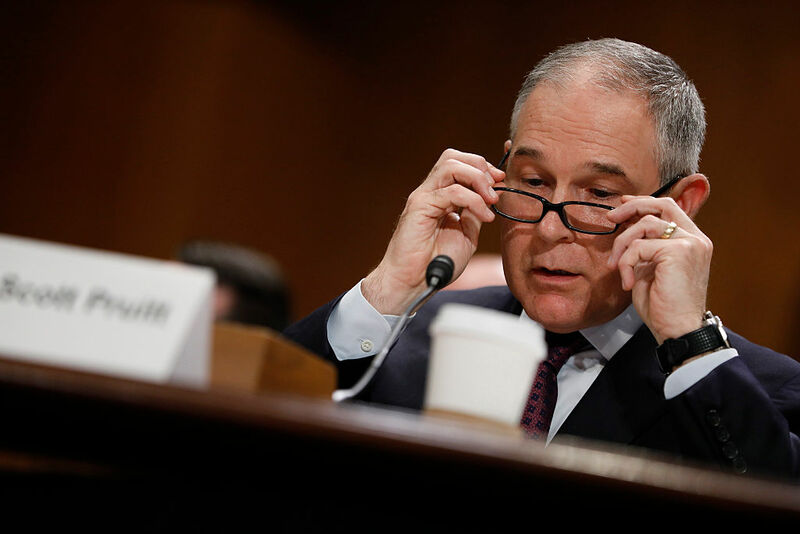 In June, a federal judge sided with PEER and ordered the EPA to provide any scientific documentation that might have helped Pruitt come to the conclusion he asserted on CNBC. The EPA eventually provided a 12-page document to PEER. The document included six pages of emails between CNBC producers and Pruitt aides, as well as four pages of “top-line notes” that Pruitt used, outlining what he would talk about on the interview. None of those notes mentioned climate change or carbon dioxide’s effect on the environment at all. Pruitt resigned from his post at the EPA in July as scandals involving his spending habits mounted. Before he left, he was asked by the EPA’s attorney to confirm whether there were any other records that he relied on to support his statements on that CNBC interview. According to a press release from PEER, the 12 pages, which never once mention climate change, were all the scientific support Pruitt used to make statements on national television. In addition to the above search, EPA presented the 12 pages of material… to the former administrator before his departure from the agency and asked him if he was aware of any other agency records that he relied upon to make the statement on the Squawk Box appearance. The former Administrator identified no additional responsive records. PEER said in its press release that it has urged the EPA to augment that search by asking its own scientific experts whether there is any basis for Pruitt’s statements, and the EPA has agreed. Although Pruitt has since departed from his position at the head of the EPA, his views aren’t unique within the Trump administration. Thus far, President Trump, who has called climate change “a hoax,” has not offered any evidence to substantially contradict the current scientific consensus.